Being a New Zealand travel fanatic I’ve been to Milford Sound on several day cruises, scenic flights and recently I even walked there on foot along the Milford Track. 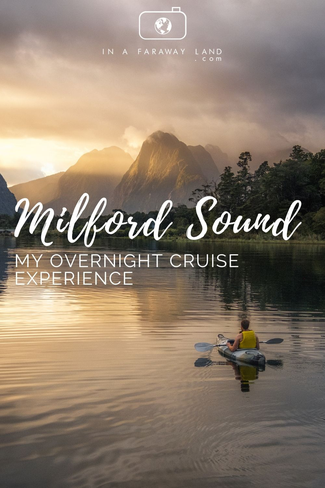 When I received the opportunity to do an overnight cruise I thought, well there’s not actually that much more I can see or learn about Milford Sound. Oh, how wrong was I. My overnight experience on Milford Sound with Fiordland Discovery taught me more in a single night than I learnt in weeks of exploring Milford Sound on my own. The limited numbers aboard giving us more personal time with the boats crew. The knowledge that the crew possesses. My eagerness to learn as much as I could about this amazing place. Let’s go back to the beginning. 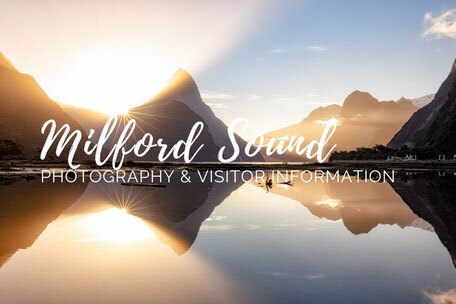 Upon arriving at the Milford Sound Ferry Terminal, we were warmly greeted and given our lanyards that confirmed our participation on the overnight experience. 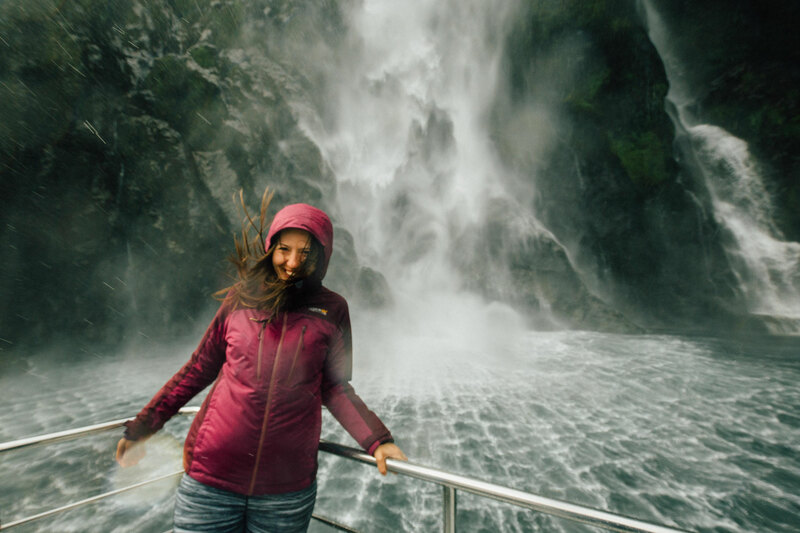 After being ushered on board of the vessel - the aptly named Fiordland Jewel, we were personally introduced to every member of the boats crew from the porter to the captain. After a quick, but essential, safety briefing we embarked on our sunset cruise on the Fjord. 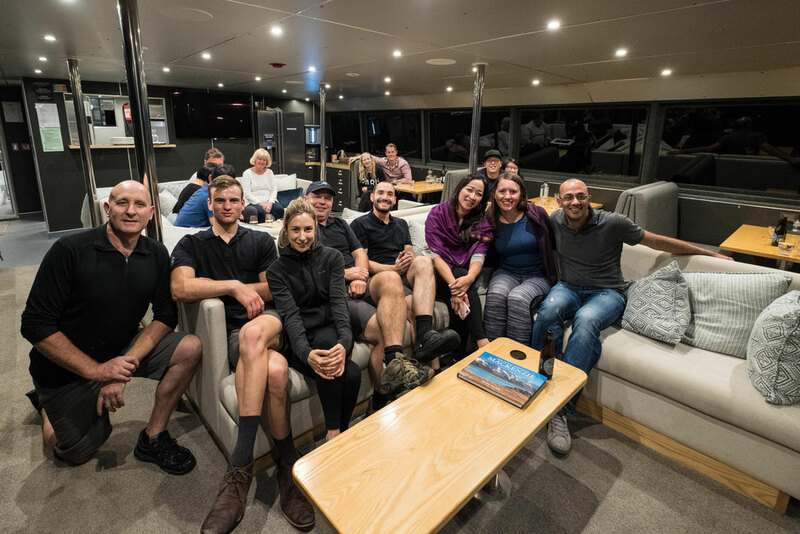 The fact that there were only 12 of us, not including the boat crew, and that we were in one of the most remote areas of the world, immediately made us feel like we were the only people left on this planet. For me, one of the biggest advantages of an overnight cruise is the lack of what I like to call the 'conveyor belt issue'. 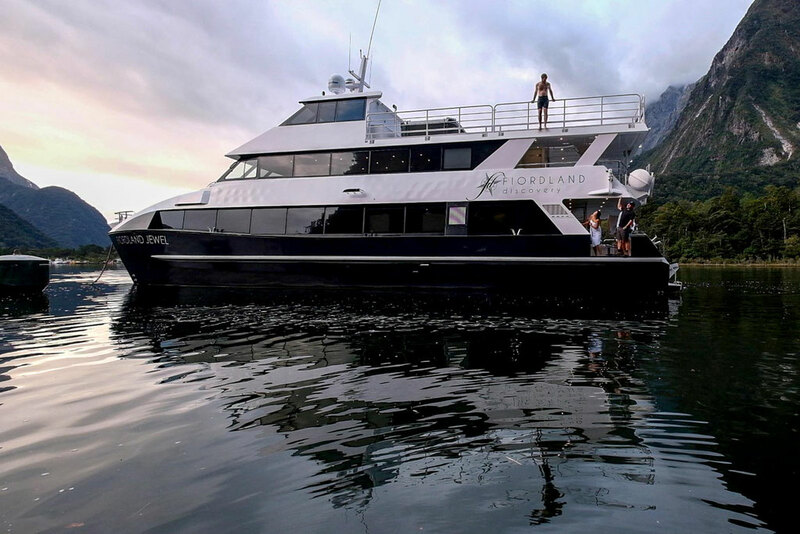 Day cruises are constantly boarding and departing, forming a continuous stream of boats. This certainly distracts you from the grandeur of the fjord. 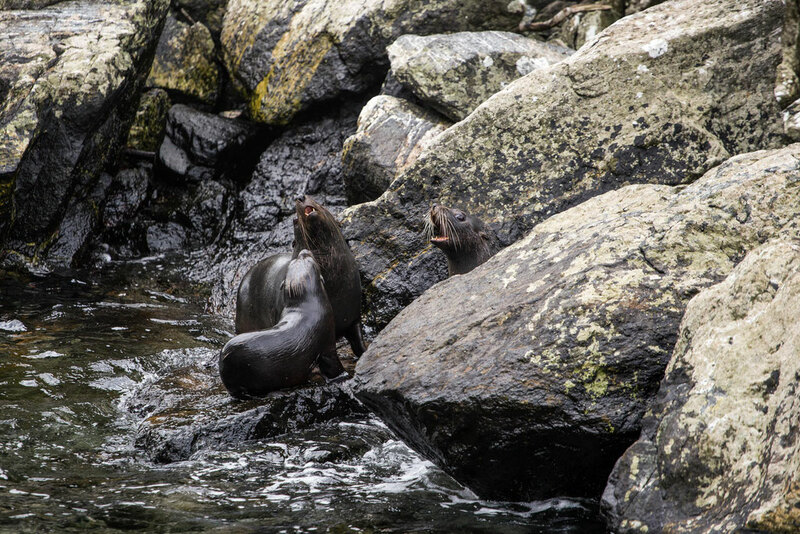 Thankfully, the day cruises were finished by the time our overnight experience with Fiordland Discovery started. It meant we had the whole place to ourselves! If we wanted to wait at a particular waterfall we could, because there wasn’t a queue behind us. 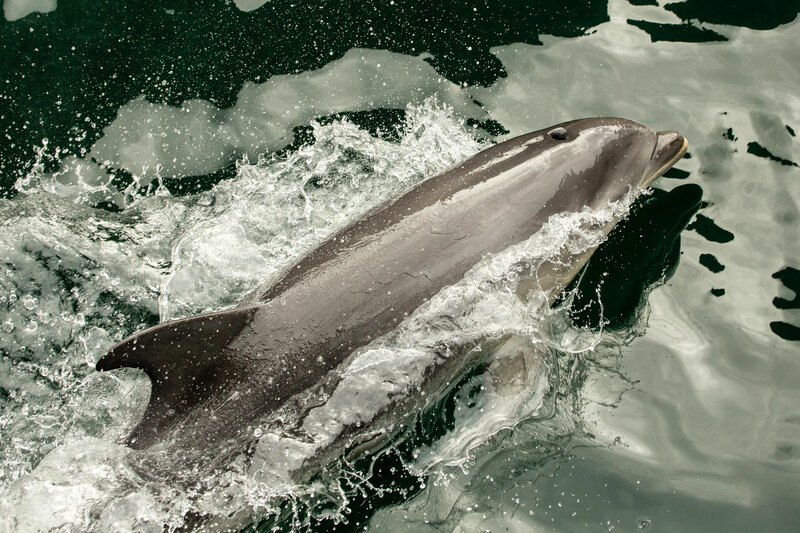 When we came across a pod of dolphins we stopped and enjoyed their presence for a while. There was never a rush. With the limited numbers aboard our vessel, we had the opportunity to ask questions and interact with the knowledgeable captain and staff. The name of every mountain, every animal and every waterfall intertwined with personal anecdotes and facts that never felt recited. We stayed in a private twin ensuite room. It was modern, clean and had everything we needed including USB docking stations, plug sockets, towels and toiletries. It was like a fancy hotel room but with much better views! Speaking about the views! 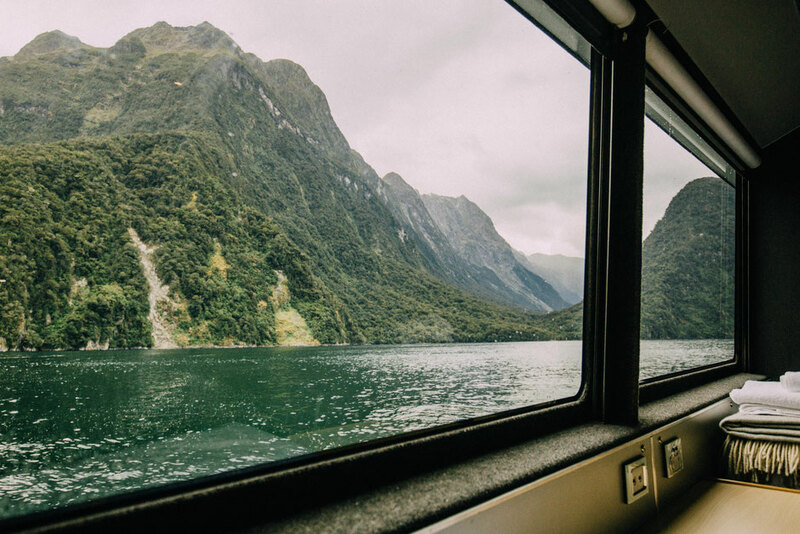 One huge window at the foot of the beds, gave uninterrupted vistas of wherever we were docked or sailing through. Just imagine waking up to it! 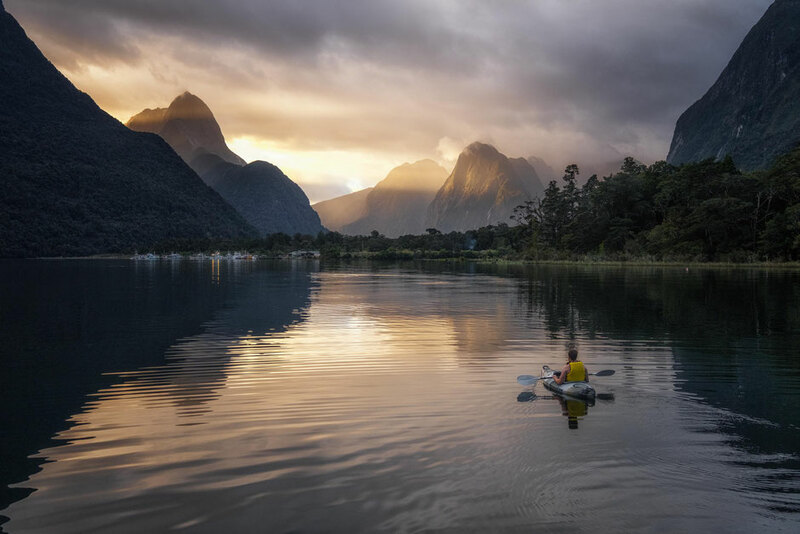 Before dinner we had the opportunity to go on a sightseeing tour in the smaller boat or go kayaking as the sunset over the mountains. I did both. I also captured some stunning images of Jack paddling away into the sunset. The light conditions were certainly in my favour. 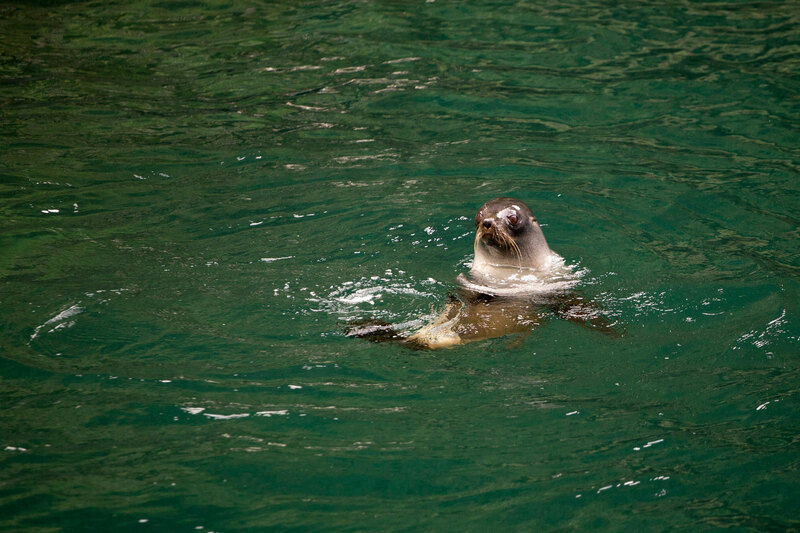 Whilst kayaking we had a private guide come along with us giving us information about the surroundings. 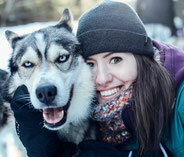 We were also free to go explore if we wanted some alone time. The brave ones could also choose to dive into the chilly water from the helipad! Interestingly when I jumped in, I expected to taste salt water but the fresh water from rivers and rain sits on top of the salt water! It was really quite refreshing. 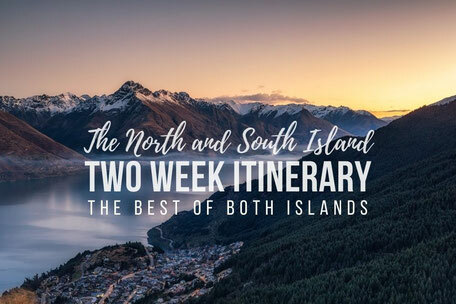 After working up our appetite and given a chance to shower and freshen up for dinner, we were treated to a 3 course extravagance including freshly caught lobster with wasabi mayonnaise, New Zealand Blue Cod with pancetta and home-made ice cream with berry coulis and pistachio snap. YUM! The menu does highly depend on what’s freshly caught and what seasonal vegetables are available. Vegetarian, vegan, lactose free and all other dietary requirements can be catered for. After a glass of wine enjoyed with good company, we spent the evening in the hot tub on the top deck, watching the stars turn slowly above our heads. That night I slept like a baby being gently rocked by the waves in the bay, where we anchored for the night. When we awoke, we could tell we were moving but it was still dark. We were getting out in the fjord for the sunrise. Again, all alone apart from the dolphins and seals. Once the sun rose, breakfast was served. Eggs any style, bacon, toast, cereals, fruit, tea and coffee plus yoghurts and bottles of water. 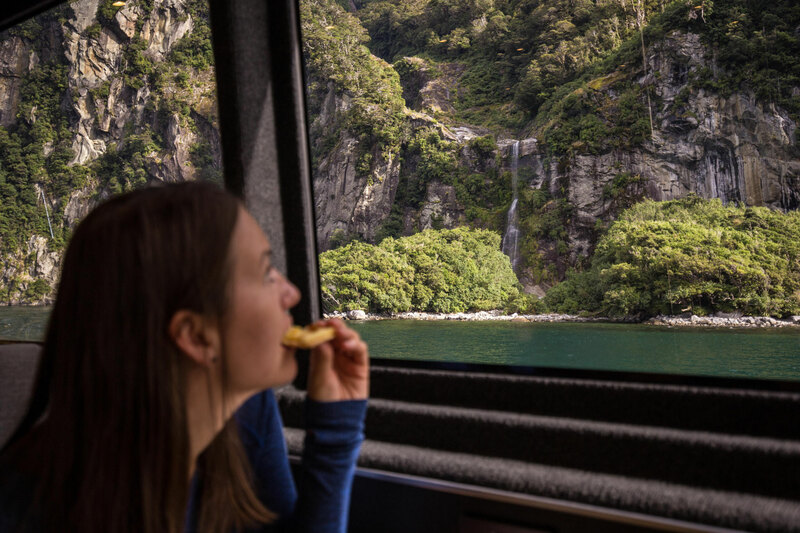 After our sunrise cruise we started our return to the Milford Sound Ferry Terminal and arrived just as the first day cruises were leaving. Perfect timing. Big thanks to the amazing crew for hosting us! As we were helped with our bags, the staff gave us heartfelt goodbyes and wished us well on our onward journey. 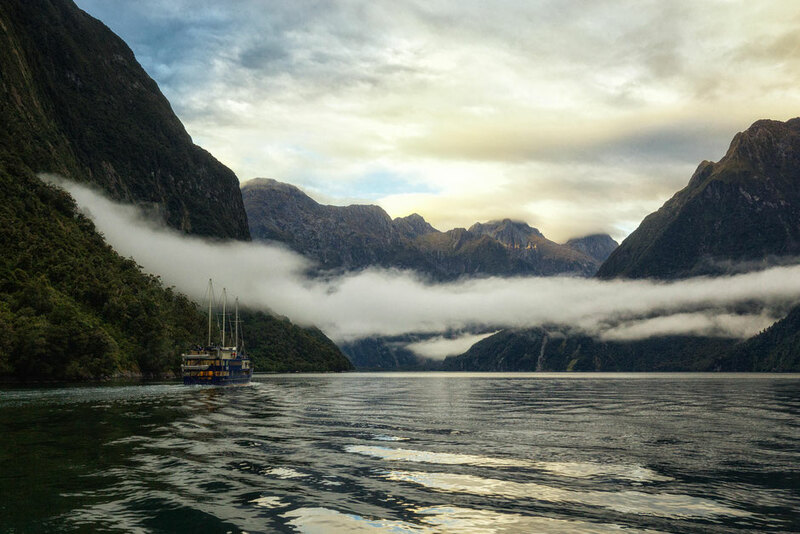 I couldn’t recommend Fiordland Discovery enough. There was literally nothing I could complain about even if I wanted to. The boat was modern, the food tasty and the staff friendly but that's not all! To me, the best part of the cruise was the serenity. 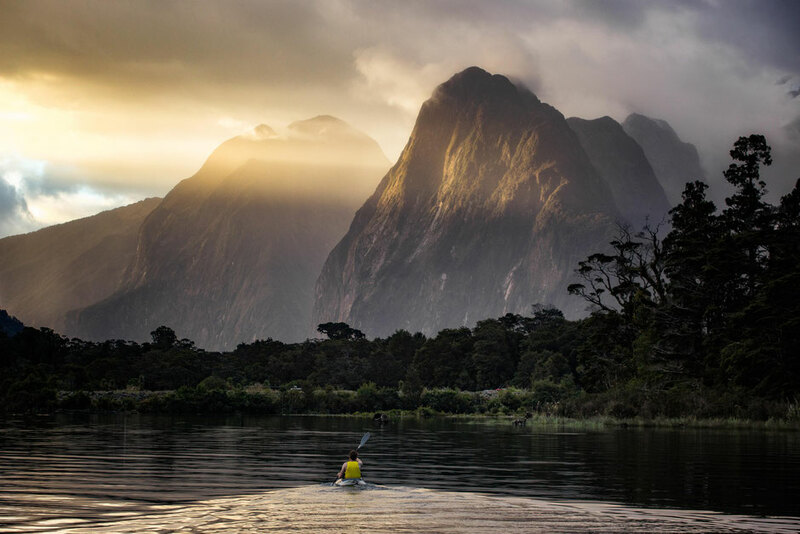 Being alone in Milford Sound kayaking at sunset in Deep Water Cove, waking up to the view of Mitre Peak is a top experience and no other boat tour company operating in Milford Sound will give you that. 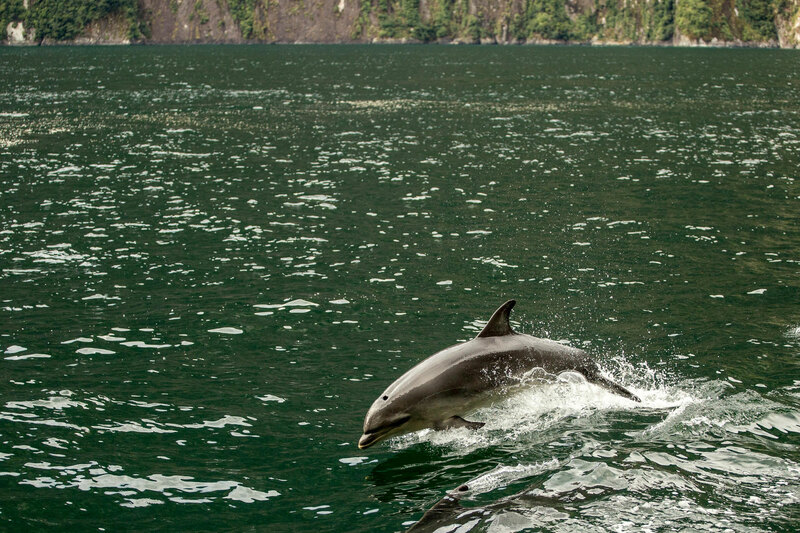 These are the experiences that you pay for and what make the overnight cruises offered by Fiordland Discovery so sought after and unique. 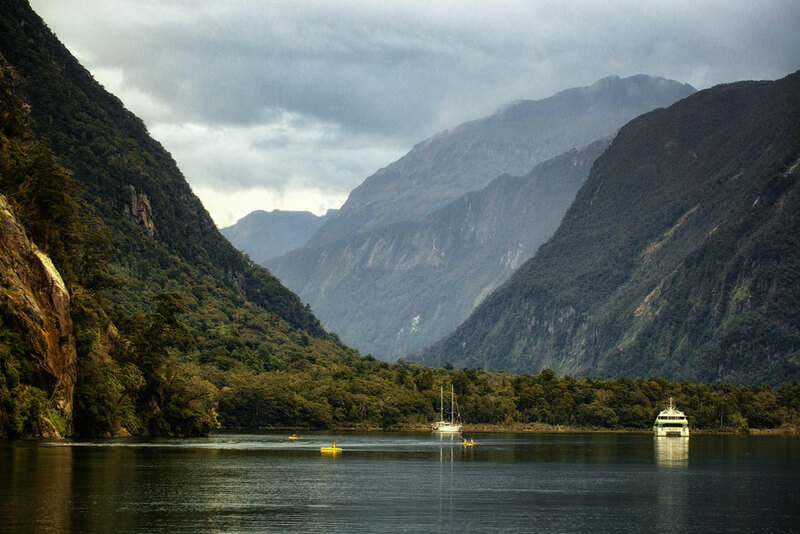 If you are planning a road trip around New Zealand, staying overnight in Milford Sound should be on your bucket list! 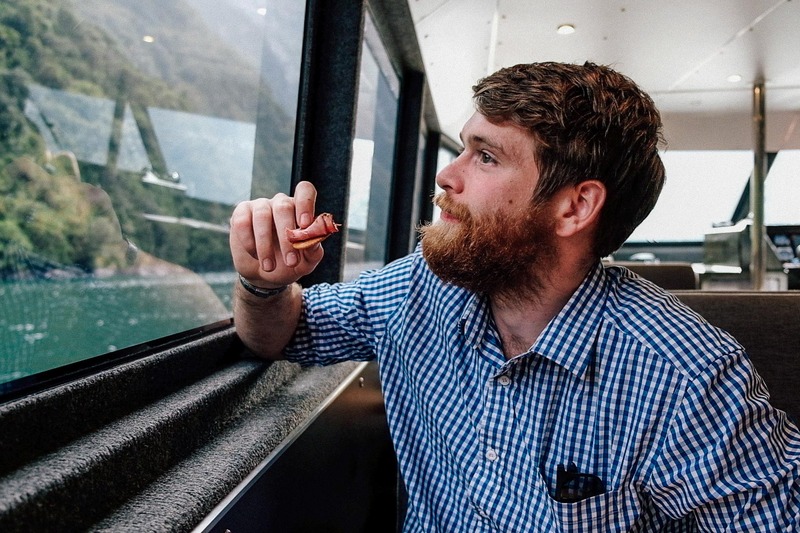 If you have any questions about my experience or travelling in New Zealand make sure to post them in the comment section below.